Well, that looks … painful, mostly. This is apparently the final poster for Crank 2, which is a little disappointing because I was hoping for a few more cool teasers. I mean, we got this one, which was fine. But not only is it based on a poster for the original, it isn’t even based on the best poster from the original. As for the final poster itself, I guess it’s alright. It does bring the subtitle to life. 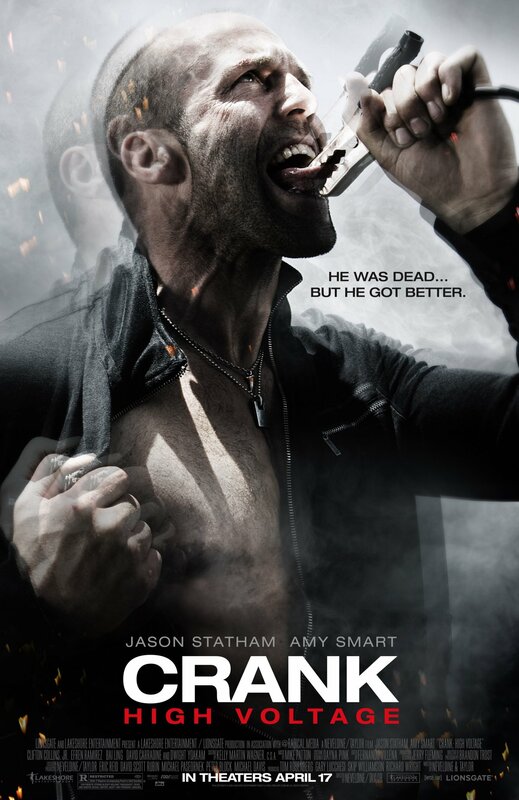 And it is much better than the generic Statham looking tough poster we get so often. But in the end the thing I find myself remembering most about this poster is the tagline, which is never a good sign, even when the tagline is as good as this one. if it were just the words CRANK 2 in black on a white background it would still be painful. I must show some thanks to this writer just for rescuing me from this type of matter. Right after exploring through the world-wide-web and coming across concepts which were not pleasant, I assumed my entire life was over. Existing without the presence of solutions to the problems you have resolved all through your entire guideline is a critical case, as well as the kind that could have in a wrong way affected my career if I had not discovered your blog post. That know-how and kindness in maneuvering all the details was precious. I am not sure what I would’ve done if I had not come upon such a thing like this. I’m able to now look ahead to my future. Thank you very much for the impressive and sensible help. I will not be reluctant to refer the blog to any person who should receive assistance about this issue. This is the proper weblog for anyone who needs to seek out out about this topic. You realize a lot its nearly onerous to argue with you (not that I truly would want…HaHa). You definitely put a brand new spin on a subject thats been written about for years. Great stuff, just great!